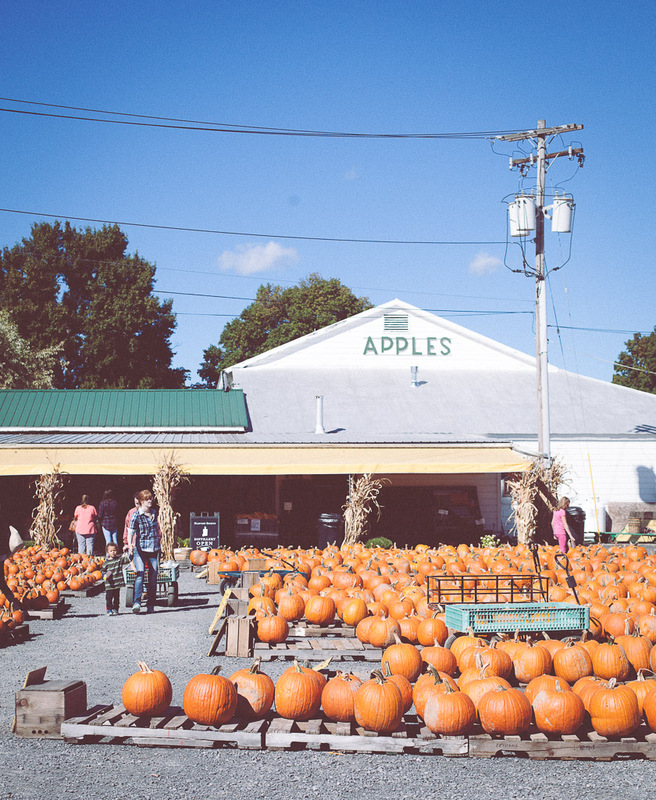 Visiting local farmstands during the fall is one of me and my husband's little traditions. In fact, while we're upstate visiting his parents, there's always this one stand we go to that his mom loves. 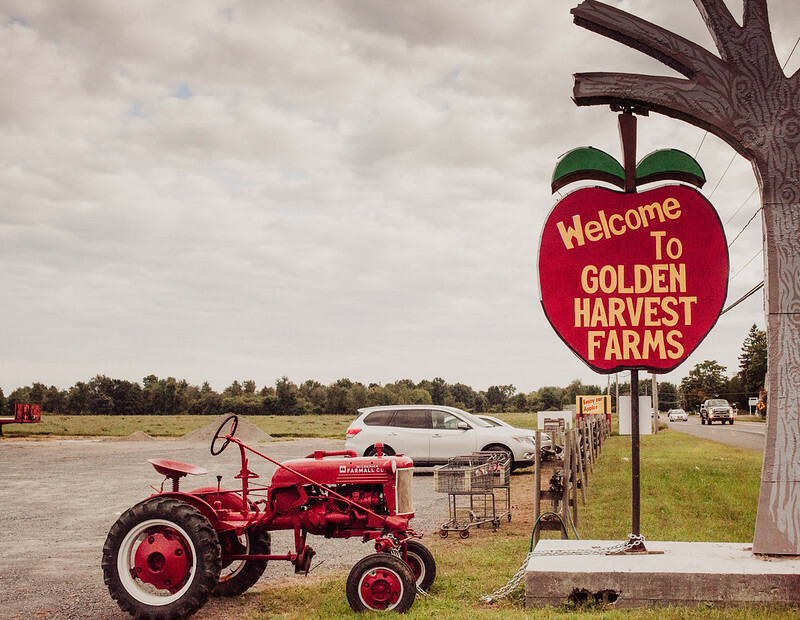 It's the quintessential side-of-the-road pulloff selling jellies, jams, produce, and more. 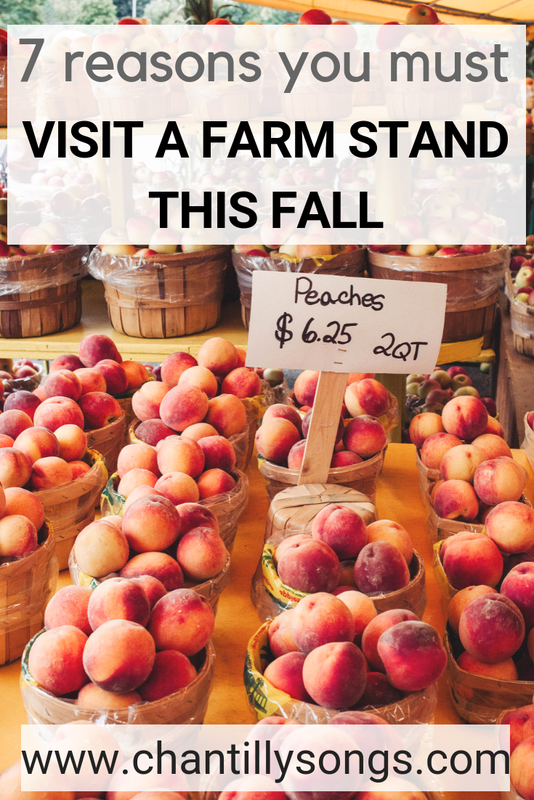 I'm super excited to share this little trip with you, and I've decided to give you seven reasons why you should put visiting your local farm stand on your fall bucket list! I'm always trying to buy produce and meat from places that aren't mass-produced factory farms. 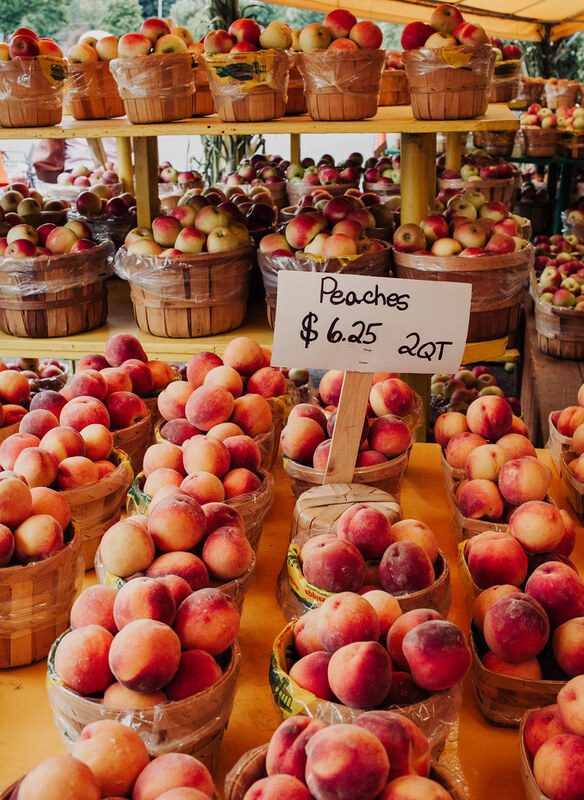 These little farm stands are usually independent- selling things from their own orchards, gardens, and pastures. The food you buy locally will be grown with more care, and doesn't have to travel hundreds of miles to get to you- thus making it fresher and lessening the carbon footprint of your food. It's better for the environment, animals, and humanity, in general, to patronize smaller farms. Plus when you buy local, you're supporting someone's dream of entrepreneurship. I don't know about you, but I'd rather support a small business than a corporation any day. Why are cider donuts basically the perfect fall comfort food? Maybe it's the nostalgia, remembering all the cider donuts of times past. Or maybe apples are just a little sweeter this time of year. 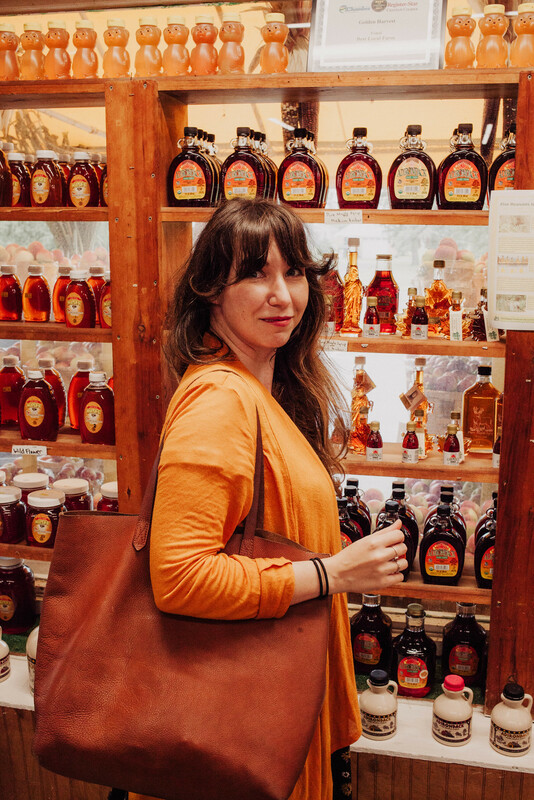 Either way, I am all over those cider donuts like a honey to a bee! We usually buy half a dozen to take back to NYC with us. Although if you ask me, that's not nearly enough! I always stock up every time we go to a farmer's market or farm stand. 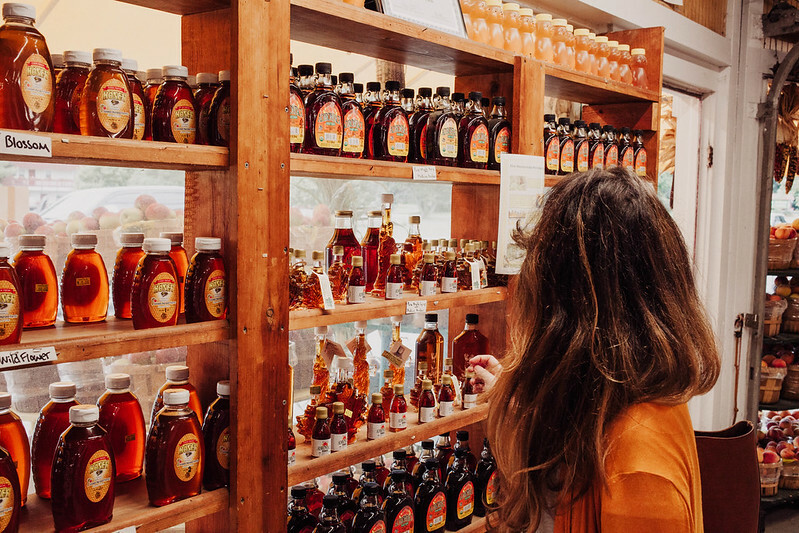 Local honey & maple syrup honestly tastes so much better than what you can buy in the supermarket. There are usually different flavors to choose from which are made from different flowers and bees- like orange blossom, wildflower, and clover. I've been waiting patiently through the summer for our annual trek upstate so I can pick up some of some of this gorgeous stuff. I was lucky enough to snag both the orange blossom and wildflower honeys this year! Every farm stand will have a different specialty. 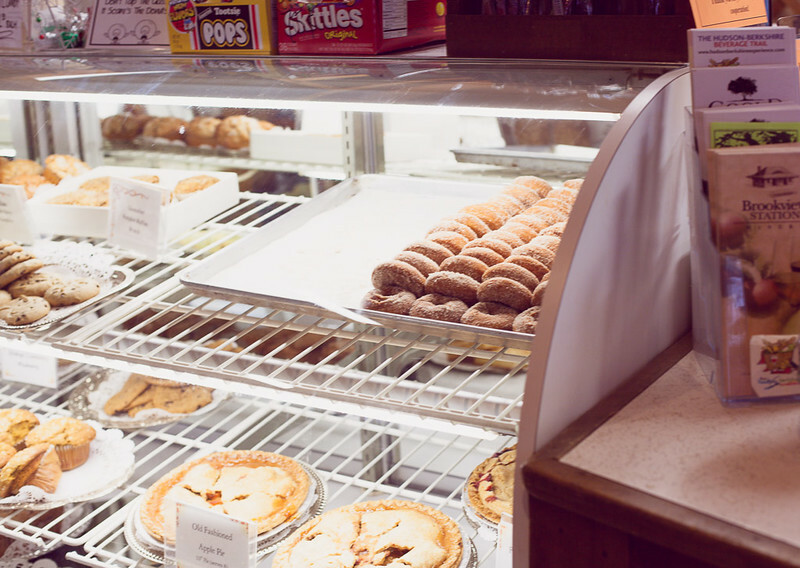 Perhaps yours has fantastic devil's food cake or is known for their flaky apple tarts. This particular place is phenomenal at pies. And let me tell you... you just can't do better than a pie made from scratch. We got a raspberry pie from this farm stand, and NOT eating the whole thing in one sitting is one of the hardest things I've ever done. And I'm not even usually crazy over fruit pies! Stock up on these cuties to give your morning toast some extra special flava! Also of note are the frequently available sauces, salsas, and relishes. Maybe it's superficial of me, but I also usually just pick up a few for the aesthetic. Those rustic little labels get me every time! Like I mentioned above, it's super beneficial to be eating locally grown produce, by small farms. For instance- apples from a farm are so fresh and taste so much better! You can dress them up so many ways- from pies, to slicing them and drizzling a little honey and powdering some cinnamon on top. Of course there aren't just apples... it depends on the season, really! Whatever you get, rest assured it will be delicious. There's a warm fuzzy feeling that I always get when I'm pulling into a roadside farm stand. Maybe because everything is packaged so cutely. Maybe it's because the people running the store are always so friendly, and you can tell everyone is 'family' even if they aren't. Maybe it's the country decor that isn't usually my style but just seems to enhance my experience at these stands. Either way, I always feel charmed when I arrive and fulfilled after I've left. Saving the best for last of course!! It's scientifically proven that pumpkin picking is one of the best fall activities of all tiiiime! For instance- remember the excitement pumpkin picking when you were a little kid? Or better yet- have you watched your own kid stumble cutely through the patch and triumphantly hold up their own prized pumpkin? Case closed. You don't even need a family, though! In fact, just pack up a car full of friends and let the happy feels commence. Or go by yourself. If you're an introvert like me, rhapsodizing for an hour about which of those pumpkins is really the perfect one for your space is a healing way to spend an afternoon. 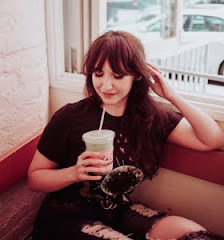 Oh my gosh, I stumbled upon your blog just now and am so happy to see you're still blogging! Do you remember me? :) It's been foreva eva! Love this post, by the way! I have a similar one I need to get crackin' on... Happy fall!